They say the definition of insanity is doing the same thing over and over again but expecting a different result. As far as clogged pores are concerned, I believe the word insanity applies to me. Here's what happened: In mid-December, I had my first-ever facial appointment with esthetician-to-the-stars Shani Darden. By the time I showed up, my T-zone was speckled with blackheads, my chin was bumpy, and I had a glaring lump of milia on the tip of my schnoz that made me look like Rudolph the white-nosed reindeer. "I don't know why my skin looks like this!" I lamented as Darden flicked on her bright light. Except yes, I did, and Darden reminded me of something: I had been cleansing my combination skin all wrong. All those icky clogged pores were caused my mistakes I had made before, then slipped back into the second my skin hit a clear period. (Why do we sabotage ourselves like that? Too much optimism? Too much ego?) Cleansing is usually the step where I go wrong because amid all the exciting serums, masks, and moisturizers, it's the part of our skincare routines that we (or at least I) often pay the least attention to. "Many people with combination skin just don't think that a cleanser is where their money should be spent. 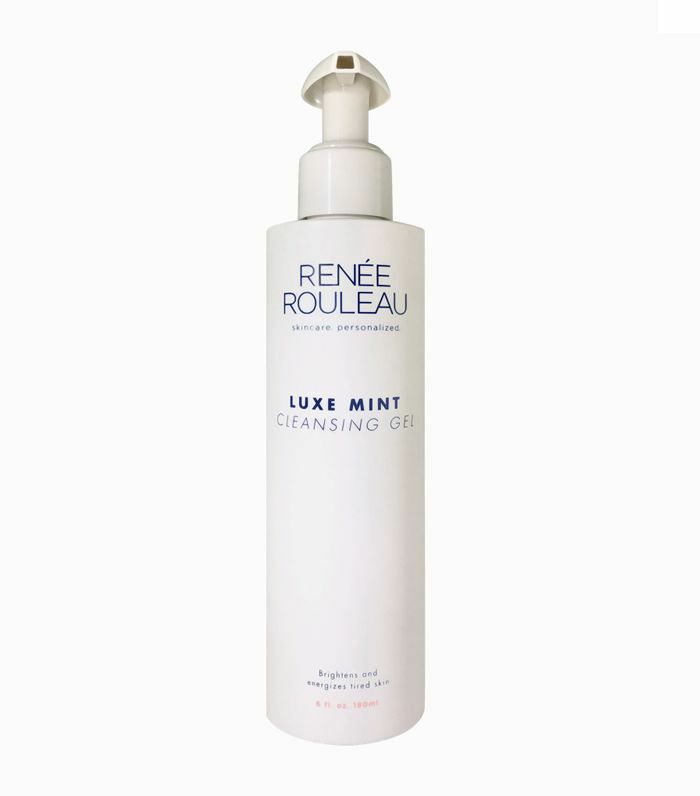 … Their cleanser is kind of an afterthought," explains Renée Rouleau, Hollywood's other favorite facialist. 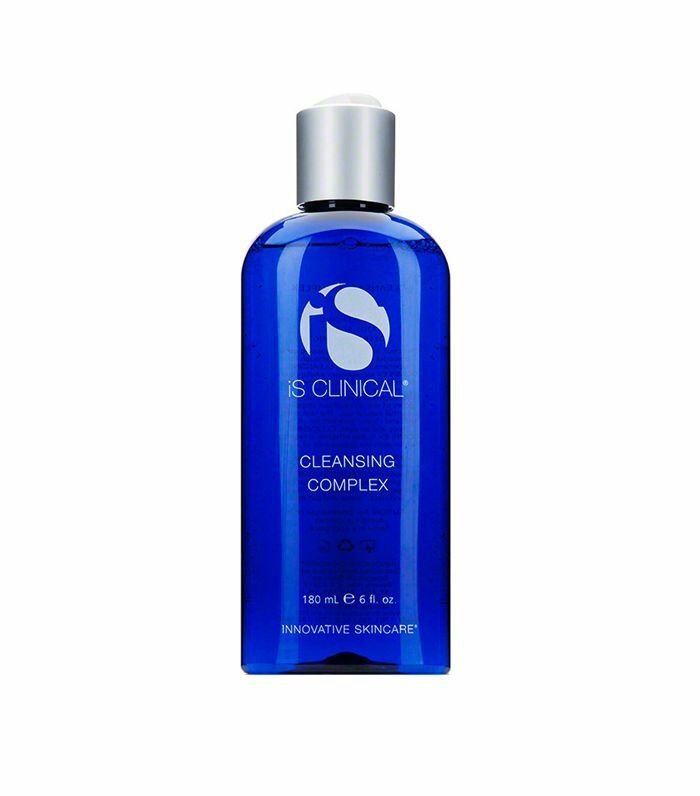 "But the proper cleanser can make or break your routine. You never want to start off your routine already putting your skin into an unhealthy state. What you cleanse your face with is actually the most important part of your skincare routine." So… to help my fellow combination skin types avoid unnecessary clogged pores, I spoke with Darden, Rouleau, and New York City dermatologist Rachel Nazarian for advice. Keep reading for six cleansing mistakes you might be making (and how to fix them). Our experts agree that one of the major mistakes combo skin types make is using a harsh, chemical- and fragrance-laden cleanser or bar soap in an effort to scrub away breakouts. 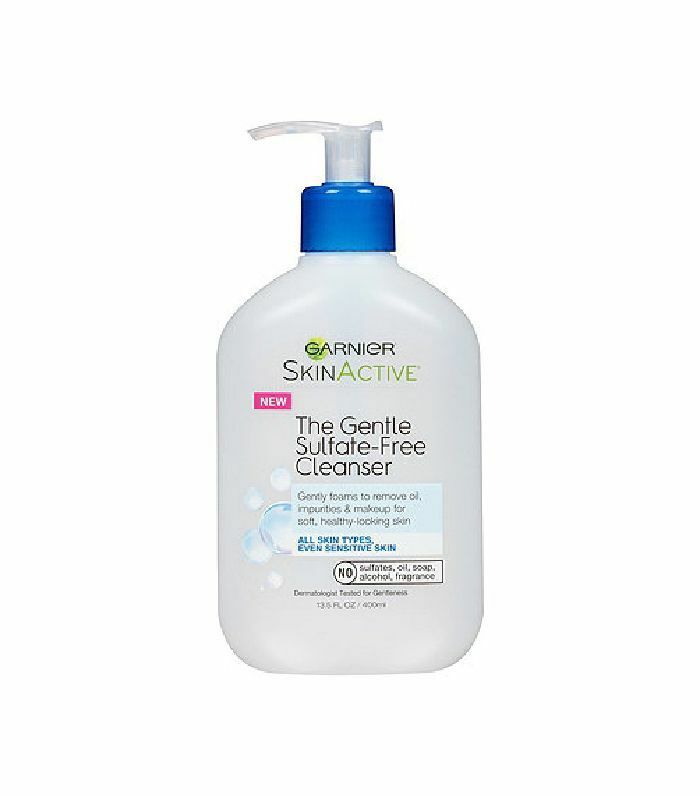 "Using a cleanser that's too harsh can over dry your skin and cause irritation," Darden says. How so? "The reason is because if you wash with a foaming cleanser or soap that is too drying, it actually pulls much-needed water out of the skin and creates dead, dry skin cell buildup," Rouleau explains. "Then you have to quickly run and put your moisturizer on to infuse what you just removed. Dehydrated skin is never beneficial for the skin." To avoid this mess, choose gentle, sulfate-free formulas with low lather (the lower the better). Your skin shouldn't feel tight or dry or look red after cleansing. Then make sure to apply the rest of your routine (alcohol-free toner, any serums of your choosing, and moisturizer) within 60 seconds. "If you leave your skin bare for more than 1 minute, it will start to dehydrate," says Rouleau. This one may seem obvious, but having been new to working out regularly at the time of my facial with Darden, failing to wash my skin after exercising was definitely one cause of my skin issues. "Not washing your face after the gym can clog your pores," Darden asserts. But those facial cleansing wipes you might keep in your gym bag won't do the trick, either. "Convenient? Yes. Ideal. No," says Rouleau, who believes that cleansing wipes "are not a smart choice for combination skin types because they don't effectively clean the skin. Instead, they just smear dirt, bacteria, oil, and makeup across it." So let's all agree to opt for a real face wash instead, deal? CeraVe Travel Size Hydrating Cleanser ($5) is perfect for workout-day convenience. "A lot of combination skin types will skip the cleansing step in the morning thinking that their skin is already clean from the night before," says Rouleau. But clogged pores may result. How? Rouleau explains that no matter how well you wash your skin at night, your skin enters repair mode as you sleep, which causes it to secrete toxins and sebum. This may prevent your daytime products from performing their best. Not only that, but some folks touch their face in their sleep or use overnight hair masks that could interact with your skin, all of which can introduce bacteria that you'll want to remove the next morning. Plus, some of the ingredients in nighttime products (like AHAs, BHAs, and retinol) need to be cleansed from the skin the next day to avoid any potential reactions or irritation. "Bottom line, a fresh, clean face in the morning will reset the skin," says Rouleau. Here's another combination skin faux pas that led to my milia and blackheads: As much as I love my decadent cleansing balms and oils, they're just not right for my skin type. "Many people have fallen in love with the popularity of cleansing oils and cleansing balms due to the luxurious feel they give to the skin when used," says Rouleau (uh, yeah, guilty). But the problem is that the oil residue these cleansers leave behind is no good for clog-prone pores. Plus, because oils have such a large molecular structure when other products with smaller molecules (toner, serums, etc.) are applied afterward, they can't penetrate the cell membrane effectively. Long story short, even though double cleansing is trendy and cleansing balms are totally decadent, if you have a combo skin type, you might want to skip them. NYC-based dermatologist Rachel Nazarian says that one of the biggest mistakes she sees with combo skin types (especially among skincare junkies, I imagine) is piling on way too many products in an attempt to treat a myriad of self-diagnosed issues. "The overuse of products and the mixing of too many products makes it difficult to determine if a product is not appropriate for your skin (perhaps flaring skin sensitivity, causing acne, triggering excess oil production, etc)," she explains. This habit might also result in a chemistry nightmare. "Not all ingredients work well together, and some even diminish effects of other products," says Nazarian. What to do instead? Stick to a consistent, basic regimen that has been approved by your dermatologist, and introduce new products one at a time so you'll be able to tell if something isn't working out.